Portrait of King Gagik-Abas, Queen Goranduxt, and Princess Marem. Courtesy of Dickran Kouymjian, The Arts of Armenia (Accompanied by a Collection of 300 Slides in Color), Lisbon: Calouste Gulbenkian Foundation, 1992. Photograph Ara Güler, Image No. 69. Award-winning artist and scholar Hazel Antaramian Hofman will deliver an illustrated lecture entitled, “Dressing the Part: Textile Wealth in an Eleventh-Century Armenian Miniature and its Interpretive Meaning,” at the Zohrab Center on Tuesday, November 12, 2013 at 7:00PM. In 1911 a single manuscript folio containing a damaged yet exquisite miniature painting was found in the print shop of the Armenian Patriarchate of Jerusalem. It was soon recognized as belonging to perhaps the most famous and important Armenian manuscript of the 11th century, a profusely-illuminated copy of the four Gospels commissioned by King Gagik-Abas of Kars, Jerusalem manuscript no. 2556. 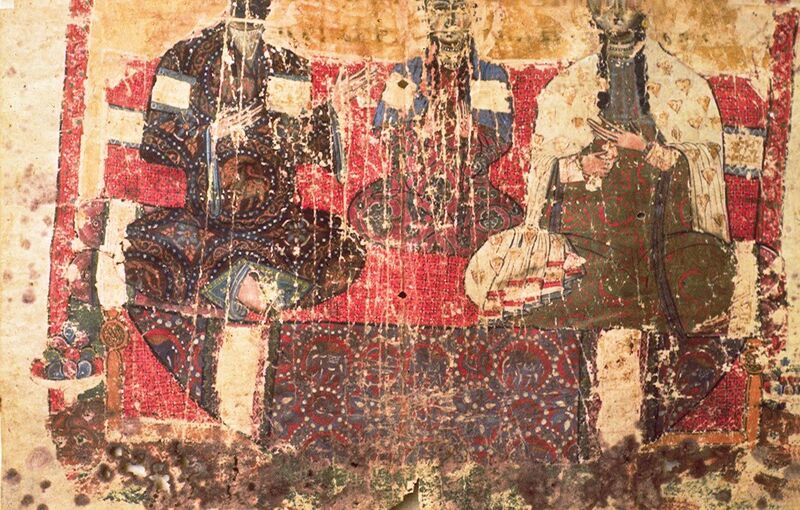 The folio depicts a royal family portrait: King Gagik-Abas, his wife Queen Goranduxt and their daughter, the heir to the throne, Princess Mariam. This is the only known Armenian painting of a Bagratid dynastic family. Though partially defaced, some of the facial features excised, the painting, with its refined style and sumptuous detail, is well-known to art historians. Artist-Scholar Hazel Antaramian Hofman will speak at the Zohrab Center on Tuesday, November 12 at 7PM. Hazel Antaramian Hofman asks why the family portrait was represented the way it was? Her analysis concludes that coded in the details of the painting, particularly in its composition and in the careful depiction of opulent textiles, one can read a great deal about the King, his political ambitions and the socio-economic situation of the Bagratid Kingdom of Armenia. “The image was created during [a] tumultuous period in the history of the Bagratuni’s,” writes Antaramian-Hofman in her 150-page Master’s thesis on the eleventh-century miniature painting of the last Bagratuni dynastic family in Western Armenia. “The composition of the image and the opulence of the represented textiles convey dynastic affluence in an effort to support the central figure, the young daughter, within the socio-political context of medieval life in the region,” the artist-scholar concludes. Antaramian-Hofman will present her findings and elaborate on her past research, where she integrated the iconographic dimension of the painting with the economic, cultural, and socio-political contact of the royal family and their hegemonic neighbors. She will also discuss her plans to expand her study on this rare Armenian painting for future publication. 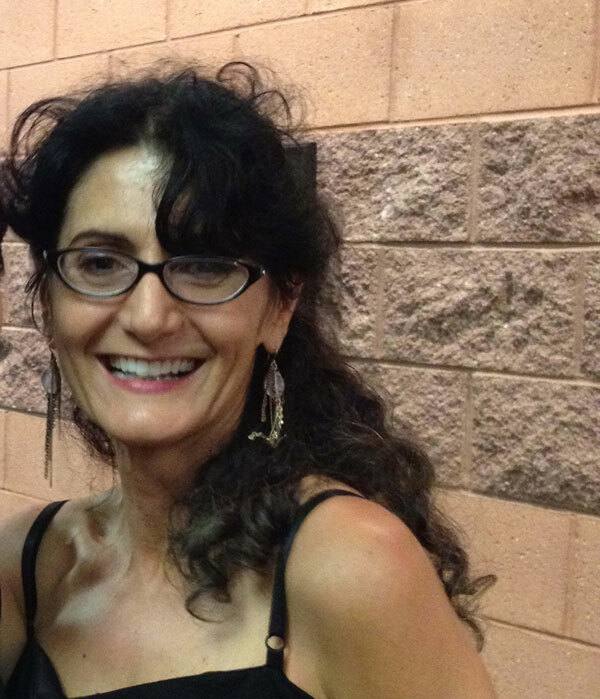 Ms. Antaramian Hofman was born in Soviet Armenia and settled in the United States at age five. Her education has both artistic and scientific roots: before earning an M.A. degree in Art and Design from Fresno State University, she already held an associate degree in fashion design and illustration, an undergraduate degree in chemistry with a minor in biology; and am M.S. degree in environmental science. An accomplished artist, she has participated in numerous group and solo exhibitions. Her latest creative and scholarly work has focused on the repatriation of Armenians to Soviet Armenia following World War II. The lecture will take place at the Zohrab Center, Diocese of the Armenian Church, 630 Second Avenue, New York, NY. It is free and open to the public. A reception will follow. For further information contact the Zohrab Center at (212) 686-0710 or zohrabcenter@armeniandiocese.org.